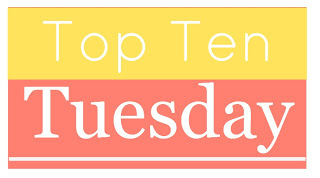 I had a bit of a hard time with this week’s topic (I feel like I say that every week) because with a few notable exceptions I love to take people’s reading recommendations. I also like to read books that have a lot of hype around them, whether they are classics or contemporary. But moving on, here are some books that keep getting recommended. Classics People Keep Telling Me to Read. 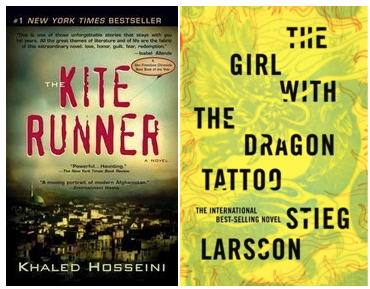 Books My BFF from High School Keeps Recommending, that I know I will like … so I should just read them already! What books do people say that you MUST READ? Also, what books do you love to recommend? In addition to Exodus, I would add Mila 18 to your mom’s list. I’m sure she appreciates the addition. I really do need to read both of those books … and they are on my Kindle so there is no excuse. I am so happy I got 4 shout-outs – don’t want to press my luck. I love The Outsiders and Flowers for Algernon. I’ve reread both and each holds a special place in my bookish heart. Stay gold. I really do want to read both of those now. Especially Outsiders, I thought it would be too scary when my mom recommended it to me as teen, but now I think I can handle it. Oh no, the book isn’t scary at all. I read it way back in my early teens and I think it might have been the first book I ever loved. The Outsiders is great! The movie with Patrick Swayze and pretty much the dream team of pretty boys from the 80s is actually pretty good and does a good job of capturing the book. I had to read Crime and Punishment in high school and it was definitely not love at first read. East of Eden was good. I keep meaning to reread it but so many books and not enough time. Great list! Thanks for the suggestions. 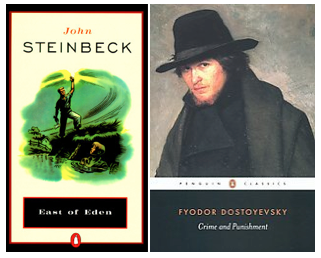 I’m not a huge Steinbeck fan, but people keep telling me East of Eden is different. Since I grew up partially in Salinas, California I’m sure it will be of some interest to me. East of Eden is Steinbeck’s BEST, in my humble opinion. So, SO good. I really enjoyed The Kite Runner. I thought it was a beautiful book! Maybe someday … but I feel like I’ve resisted for so long it’s just not going to happen. I did really enjoy And the Mountains Echoed. Love that I got a shout-out! In my mind though the one I keep recommending to you is the chaos walking trilogy. Eeek I guess I really need to read it now. I keep forgetting to add it to my to-reads list on goodreads. Doing it now! Thanks! Exodus and The Outsiders … so, so good. I highly recommend them! 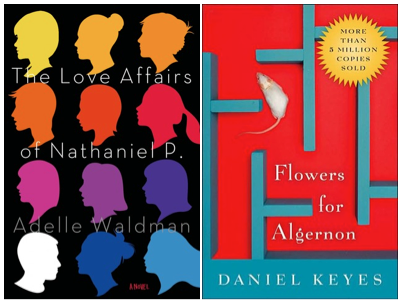 I tried reading Flowers for Algernon twice and just could not do it. And EAST OF EDEN. My gosh, East of Eden the MOST! I will get on it. Your suggestions have only lead me to books that I love. I LOVED Book of Three! Agreed on The Girl With the Dragon Tattoo. Absolutely no desire to read. Yeah, unless I go through a radical personality shift I don’t think I’m ever going to read that one. No matter how many people recommend it to me. No worries on The Girl With the Dragon Tattoo front. I’ll keep your thoughts on Exodus and Flowers for Algernon in mind! Love all the love for Exodus – I didn’t think people would even know it any more – I reread it recently and it is a little dated. You must experience it as a period piece. Yeah, everyone loves your books the most. I guess I should have listened to my mother! Flowers for Algernon was a very good read! Thanks for commenting! I will keep that in mind.